The only time you should stop on your run should be to catch your breath or change your music, not to adjust your shorts. And as any runner knows, tight shorts can ride up before you even hit the quarter-mile mark. So Kari Traa designed the Mathea Short with a loose and light fit that won't slow you down. 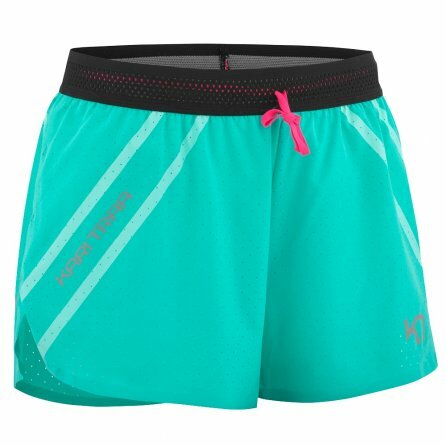 And to further reduce any bunching and annoying adjusting, these running shorts even have built-in briefs, because your running gear should help you perform, not slow you down. The Mathea Shorts are sure to become your go-to running short at the gym and beyond. A relaxed fit and four-way stretch fabric create a totally flexible, comfortable short. The drawstring waist hides a small pocket for a key or credit card. Built-in underwear helps reduce bulk and rubbing caused by too many layers of fabric.